Functional Testing For Candida - The Comprehensive Stool Test - YeastInfection.Org by Eric Bakker N.D. Although you will hear many clinicians claim that stool testing is less than effective when it comes to Candida, there is one exception to that rule: the Comprehensive Digestive Stool Analysis. Over the years I have found this to be an essential diagnostic tool which can both identify and, sometimes just as importantly, rule out many issues concerning the digestive tract. It is particularly effective when it comes to identifying yeasts and so providing a functional basis for treatment. I also recommend the CDSA x 3 which includes an analysis of gut parasites in addition to bacteria, protozoa, and yeast levels. This also provides patients with an idea of not only how effectively they are metabolizing and absorbing nutrients but where any problems are occurring. As you can see I also recommend that three stool samples are analyzed rather than just one. This is because yeasts are not dispersed equally throughout stools and what may not appear in one sample can often appear in the next or even the one after that. If you are considering having a stool sample analysis, or have even had stool samples analyzed in the past which returned a negative result, it is worth considering having the CDSA x 3 done to confirm the results. By having stool tests done which use three samples you obtain a much higher probability of returning not only accurate test results but also positive ones and this gives you a much better chance of diagnostic assessment and recovery. Because bacterial overgrowth affects absorption it can also cause symptoms which often conflict with other illnesses. To save not only money but also pain and suffering in the long run, it is often better to have stool analysis undertaken, if only to rule out the possibility that dysfunctional microflora are the root cause. Absorption and Digestion Markers – including, elastase, carbs, fat stain, muscle and vegetable fibers. So what you are essentially looking at is a test which can identify if your symptoms are caused by parasites, dysfunctional fat digestion (which can also indicate pancreatic issues), inflammatory markers which may suggest leaky gut syndrome, bacterial overload, yeast overload and autoimmune issues. All of these can be directly or indirectly influenced by yeast overgrowth, in particular Candida albicans, which I am now sure you are aware, that among other things has a negative impact on the intestinal wall. The good news is that all of the problems noted can be treated effectively without resorting to aggressive drugs which may in themselves not only produce some negative side-effects but which can also aggravate the symptoms. Although Candida itself has a hard time surviving the long journey through the intestinal system, and yeasts will be found in small amounts even under normal circumstances, it is the finding of abnormal amounts of yeasts which will indicate overgrowth in patients, and this is what the test will indicate. Of course, there are the other, indirect indicators, such as the absorption markers, which would also point a clinician toward dysbiotic function of the microflora in general, or even, in some patients, parasites which could in themselves stimulate or aggravate microbiota dysfunction. Complicated it may seem, but when it comes to the CDSA I prefer to use the word ‘comprehensive’ and this test, more than any other individual assay or indeed several different ones, can point the clinician to the correct diagnosis and, in the long run, save the patient much money, time and distress. Neither, it must be said, is this test in any way invasive other than possibly being thought of as slightly distasteful by a small minority of people. However I can reassure patients that the process in itself is simple and involves no embarrassing situations because the patient simply follows the instructions provided in a simple test kit. As a clinician involved with treating many patients I find that the CDSA to be the Gold Standard for tests when it comes to gastrointestinal function and Candida. Although it may not be cheap, it can start from a couple of hundred dollars, I have found it essential in diagnosing many cases and particularly those of a difficult nature. However for many patients, even in the earlier stages of illness, it can be extremely helpful in identifying the underlying cause of symptoms and is well worth the outlay if at all possible. . I recently had a comprehensive stool analysis performed and the result for microscopic yeast was None The only thing that showed up unusual were commensal (imbalanced) flora: 4+ hemolytic Escherichia coli and a low Secretory IgA (42.0). 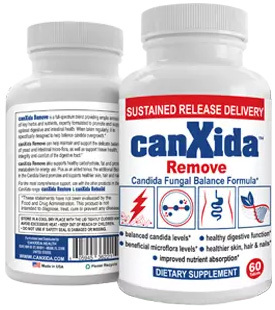 Would this clear me from suspicion of candida overgrowth? Erica, not sure if you’re going to see this, but hopefully you’ve made other attempts to get in touch with Dr. Bakker, either through his YouTube channel, Candida Crusher, or through the forums on CureZone, perhaps searching for either Eric Bakker, or CC there as well. Good luck!